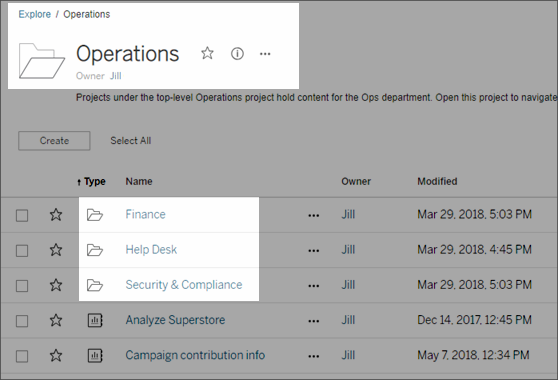 When Tableau Desktop users publish a workbook or data source to a site on Tableau Online, they can select a project to publish it to. If they don’t specify a project, their content is published to the Default project. As an administrator, you can create projects to hold and organize related content resources, or to delegate content management. Content resources on Tableau Online are workbooks, views, and data sources, and the projects that hold them. They segment the Tableau Online site into areas that give users access based on how they use the data published to those areas, or on the Tableau user group they work with.